British Shower manufacturer Roman has won the consumer safety award for compliance in bathroom products at the renowned NHIC (National Home improvement Council) Awards. The prestigious award is to acknowledge Roman’s innovative products and especially the continuous promotion of CE Marking at all steps of their product communications. “As a British manufacturer, we’ve placed a huge emphasis on our programme of conformity and CE Marking which all contributes to enhanced Brand reputation. We are delighted to receive recognition in this increasingly critical area.” Said David Osborne, Managing Director of Roman. CE marking is a certification mark that indicates products comply with health, safety, and environmental protection standards. 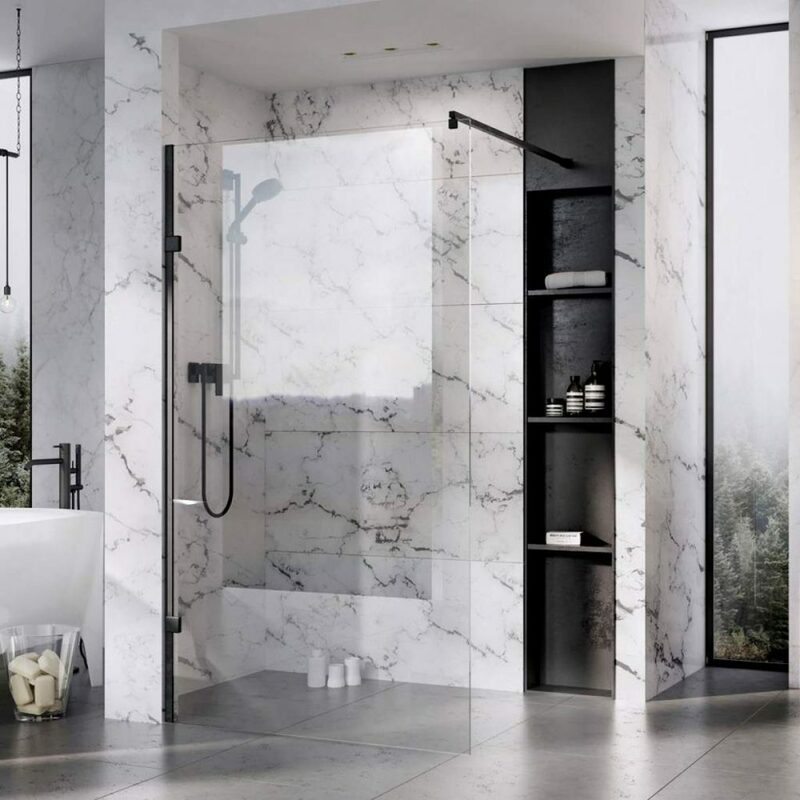 By placing the CE marking on Roman shower enclosures, Roman is declaring, on their sole responsibility, conformity with all of the legal requirements to achieve CE marking. The Black Grid Design industrial look Wetroom Panel has been added to the Liberty Range. It comes with 10mm thick glass and a height of 2000mm. And also, available in 5 widths, 757mm, 857mm, 957mm 1057mm and 1157mm. It showcases a matt black profile and an option of the square back to wall or ceiling bracing. 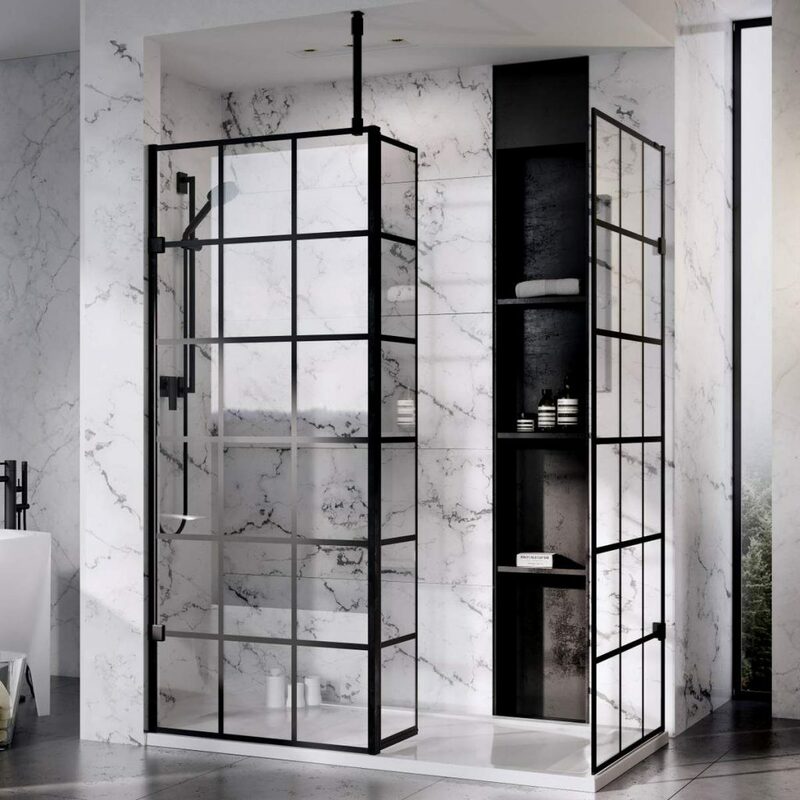 Alternatively, there is also the option of clear glass with the matt black profile for the minimalist industrial look. You can match it with brassware across the bathroom. Furthermore, it integrates a hydro-active tape system, so you don’t need to use silicone. Therefore, it presents a simple and watertight solution. Do you have any questions about Roman shower products? Get in touch today and our sales staff can help you create your dream bathroom!